Driving while under the influence should for no reason be taken lightly. Countless deaths occur every year as a result of drunken driving. In an attempt to reduce the number of fatalities, laws were created not just for driving, but to help deter getting in the car intoxicated to start. In the end, more people die as a result of drunk drivers than the drivers do themselves. This is a sad realization as many innocent people may pay for the poor choices of one individual. George Smith was a London taxi driver and was the first person in history to be convicted of drinking and driving. In 1897, he was fined 25 shillings which is near $100 in todays value. Mr. Smith must have been extremely intoxicated, as to be given a DUI when it had yet to be given before, must have meant he was clearly endangering others. Before the advent of breathalyzer machines, officers had to establish guilt based on their observation of intoxicated driving. They would look for cars that were weaving, unable to stay within the lines of their lane and had erratic behavior. 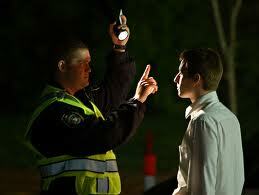 If an officer did pull someone over in suspicion, they then gave a field sobriety test. This entails such things as walking in a straight line, standing on one leg for 30 seconds and reciting certain well known pieces such as the ABCs. These tests have obviously withstood the test of time as they are for the most part the same tests used today. 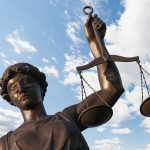 Though since the early days of lenient laws and slaps on the wrist, regulations have been put in place in numerous places to deter drivers from not only thinking of driving drunk, but from even being able to do so. There have been specific laws created for restaurant sales, such as not being able to take your drink past a certain designated point of the business. This obviously helps to avoid people walking out with drinks in their hand. The age limit for the purchase of alcohol in the U.S is much higher than it is in other countries. But that wasn’t always the case. Before 1933, few states even had an age determined to be the minimum. From 1933 to 1971 the age ranged from 18 to 21 amongst the states. Then from 1971 to 1984 the ages changed again but within the same range. Some states even lowered the age from a previously higher age to a lower one. But then after 1984, the age of 21 was agreed upon by all states and was made unanimous. Bars have what is called “last call” which is a brief period of time that the bar remains open but does not sell alcohol so as to help reduce the buzz felt immediately upon leaving the business. This time is meant to sober up, or give time to those that are drunk, to realize that they are drunk. Because there are times when you have a drink and you do not feel the effects of it for a short period of time. Last call helps those who are not sure whether they are intoxicated or not, realize it before beginning to drive. There are numerous cab lines which are located near or central to any bar strip. In order for there to be a spot for business like that on a public road, means that they had to get permission from the local government. Its very difficult to receive the licensing needed to operate a business on public lands, whether it is a road, sidewalk or even a national park. So the only reason it can be said that these lines are so prevalent around bars, is that the permits were allowed to help cut down on drunk drivers. So it should be mentioned that these were not put in place to restrict drinking, rather, certain ones allow for more drinking. Such as the knowledge you have a ride home from a friendly cabby at the end of a night and you dont have to limit yourself since you wont be driving. They were put in place solely so that the amount of accidents due to driving while under the influence were reduced.